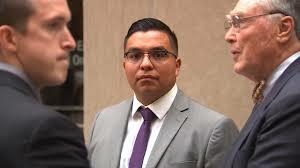 ST. PAUL — A Minnesota police officer, whose fatal shooting of a black motorist transfixed the nation when his girlfriend livestreamed the aftermath, was acquitted of all charges on Friday. Insufficient words, to be sure, to describe the events that unfolded that day when Philandro Castile was shot and killed by Officer Yanez. By all accounts, a fantastic example of a human being was lost that day. I’ve watched this trial more closely than some of the others. Part because it was another in a long chain of such tragedies, part because it was in Minnesota, part because I thought that the cop might have been wrong. Additionally, I’ve been back and forth on my feelings of guilt or not guilt. It really seemed that Castile did all the right things. In the end, before the verdict, I had come to the conclusion that I felt the verdict should have been as it is – Not Guilty. Officer Yanez suspected Castile of being involved in a robbery, he knew he had a license to carry a gun. And, by his account, felt that Castile didn’t follow directions. In the moment, the officer felt his life was in danger and he had to protect himself. I don’t know if Yanez acted illegally, or with undue force or out of bias. I don’t. But I do know that traffic stops are inherently dangerous to officers. That suspects fire on cops often enough that cops are right to be worried. It took the jury days to come to this decisions. We’re asking cops to make that same decision in a split second. Finally, the publicity of the case cannot be ignored. This case received national attention due to the fact that Castile was black during a time when the Black Lives Matter movement was in the national discussion. I don’t know how this verdict is going to be received by the community in St. Paul. Or the nation. However, I think that it is important to notice that many people of multiple races lost their lives in confrontations with police in 2014 and 2015. None of those cases resulted in a conviction of the officer. I’m afraid. Trump withdrew from the Paris Accord walking away from a commitment that we made with virtually every nation on earth. The science of climate change – global warming – has been debated here and else where for years now. I don’t wanna get into that now except to say that for the purpose of this post, I have settled that we are not in danger of catastrophic warming. Because of that, I am fine with the reasons for rejecting Paris. But before we rejected Paris, we agreed to it. And that should mean something. 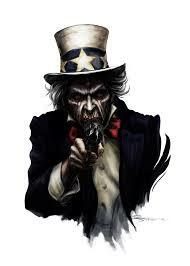 Now, as for the world without American leadership? Screw ’em. I am less and less inclined to care what a Parisan sipping coffee at 2.00 pm thinks of America while the rest of the world refuses to act in most cases. We’re a handful of days away from the anniversary of America’s leadership. No. What scares me is that without Obama we don’t have Trump. But we had Obama, and now we have Trump. Barack ruled with his phone and his pen. Paris was illegal. GM’s bankruptcy was illegal. His immigration policies were illegal. Libya? Illegal. And the list goes on and on. So, mostly, as Trump undoes Obama’s work with equal executive orders, I am conflicted. We are removing oddles and oodles of illegal and wrong minded policy. But I don’t believe that Trump is going to stop. He’s going to get used to ruling, aka Barack, and will simply, and horrifically, continue on the trajectory. The President never should have pulled out of Paris. But the President never should have entered Paris. Without the first, we never have the second.